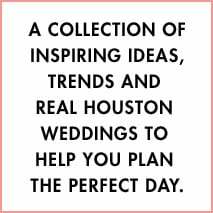 You probably wouldn’t dream of sewing your own bridal gown or baking your own wedding cake, Houston bride (and we don’t recommend that you do!). But wedding favors are one area where a little DIY goes a long way toward creating a personal touch AND saving you money. One of the sweetest, simplest and most enduring favor options is a beautiful box, filled with goodies and assembled with love. 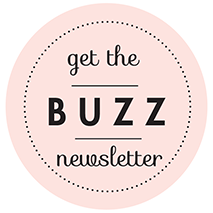 Whether you pack it with luscious truffles, jelly beans or other candies that coordinate with your wedding palette, breath-freshening mints, bath beads or flower seeds, a pretty, personalized favor box will show your guests that you appreciate their love, and won’t break the bank. 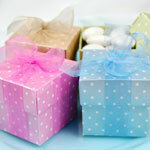 Worried about having time to fold, fill and fancify all those little favor boxes in the days just before your wedding? Ask your maid of honor, sibling or a dear friend if she’ll take on the task. Let her know you will consider it her wedding gift to you and your betrothed—and a most sincerely appreciated one, at that. 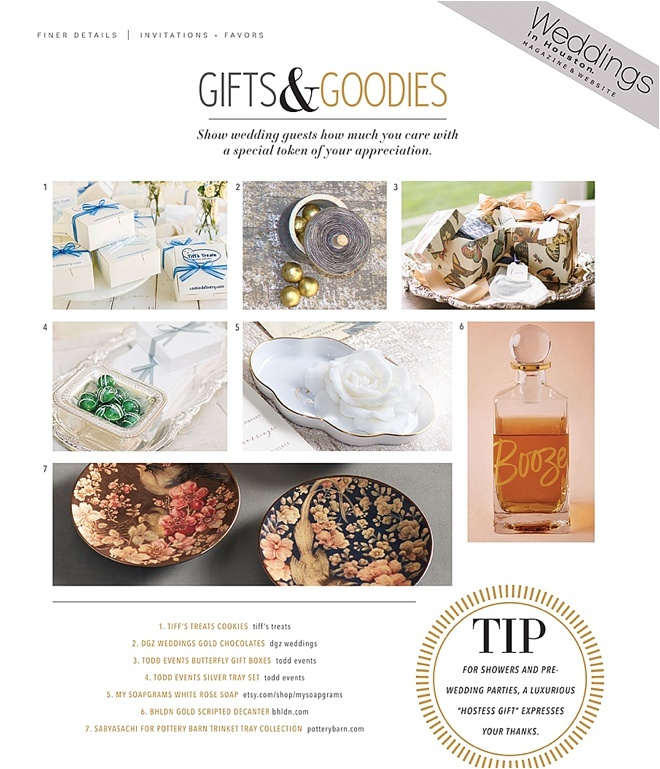 Whomever you assign to assemble your wedding favors, make sure that person knows exactly where and when to drop them off at your reception site, especially if your venue’s staff or decor crew will need to incorporate them into dining-table place settings. 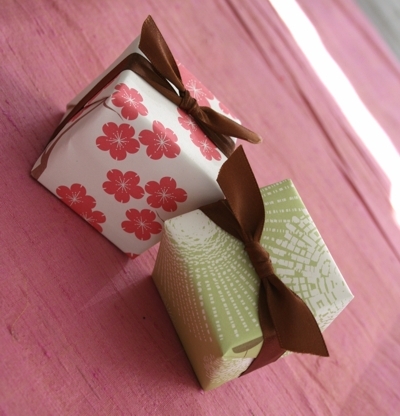 Here are a few of our favorite favor box ideas to get you inspired! 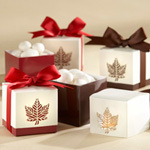 We can’t decide which paper boxes from The White Aisle we like best—they’re all so lovely. Pictured here are Cherry Blossom and Vintage Dandelion designs from their contemporary collection. The White Aisle also offers boxes in silk paper from Nepal, Jaipur paisley paper handmade in India and Thai-made, baroque-style mulberry paper, among others. Purchase them already assembled and filled with truffle pairs or candy, or assemble them yourself with whatever your heart desires!